The minimum deposit amount for any first deposit, second deposit or any reload bonus is £20. The cash match bonus is applied automatically immediately upon deposit. For the bonus spins these will be released over 10 consecutive days at 20 spins per day on Starburst. 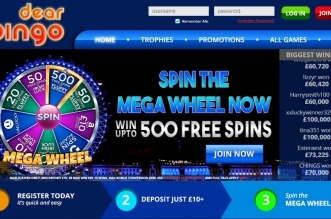 Each set of spins will remain on the account for just 24 hours from midday. An excellent selection of more than 1,200 games are waiting at this top gaming site. Games from NetEnt, NYX, Evolution Gaming, Microgaming, Play N Go and Lucky Streak means that if you have played slots before you are almost certain to find your favourite here – and maybe some games you haven’t played before. 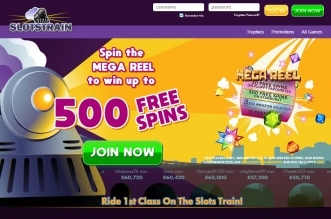 Easy navigation means you can jump straight to New games, Popular, All or Jackpots. The site has been designed to ensure that the Live Casino and instant play games meet the needs of players who want a fast-loading casino. The Live Dealer table games suite was added early in 2017 and features Blackjack and Roulette tables hosted by live dealers. The wagering requirement must be met in full within 14 days of the bonus being credited or it will expire. Different email addresses for complaints and to send documents to. That adds up to a total welcome package for all new members of a £1000 bonus and 100 bonus spins on the Starburst video slot. Cash Points – Cash giveaway with no wagering. Earn as you play and the more you play the more points and cash you will accumulate. Receive 1 point for every £10 bet made. Collect 100 points and exchange them for £1 cash. Points can be redeemed under My Home. Monthly Splash Bonus – Two reload bonus offers. On the first Wednesday of every month you can claim two 50% reload bonuses on amounts from £20. Bonus worth up to £100 each time. 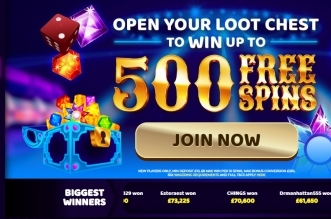 Facebook: https://www.facebook.com/casinocruise/ – a good way to get hold of extra bonus codes and keep up with the best promotions and learn about new game releases. Also a good way to contact the site should you have any queries. Twitter: https://twitter.com/CasinoCruiseCom – more codes and game info at your fingertips. Instagram: Not particularly active, but there if you want it. YouTube: Mainly deals with information about table games and again not particularly active. Access via mobile browser on any smartphone or tablet, iOS or Android. Casino Cruise boasts of an unbeatable mobile casino experience, with over 300 mobile games and mobile slots available. The mobile site offers a good mobile casino experience and so you can play all the top games anywhere, anytime. Fully optimized to offer the best speeds and quality, you will get an excellent response from the site even while playing the games on the go. Android – Presently Casino Cruise does not provide an alternative way of download an app to your android phone.